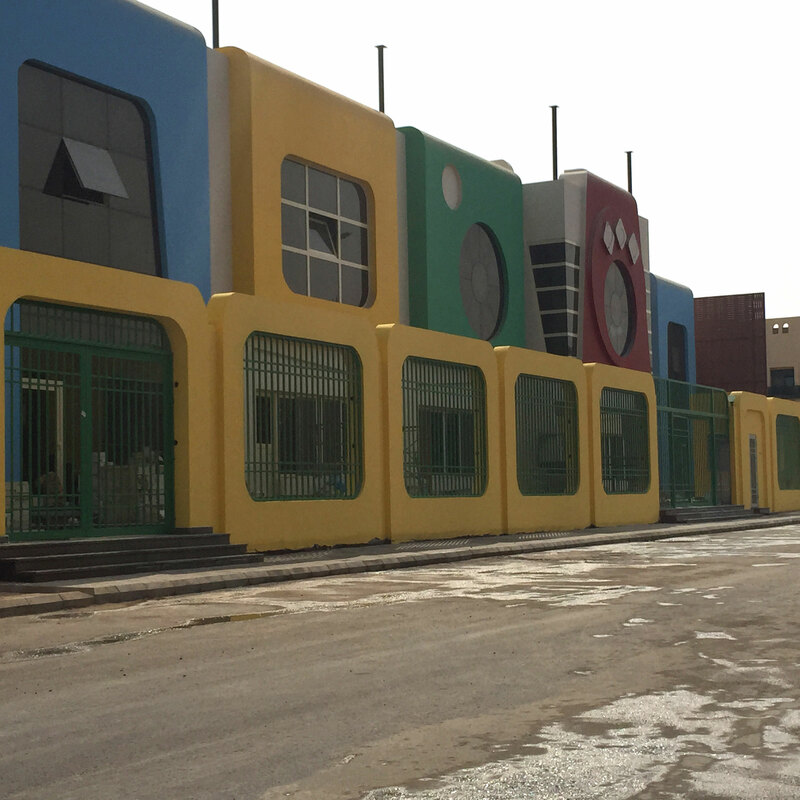 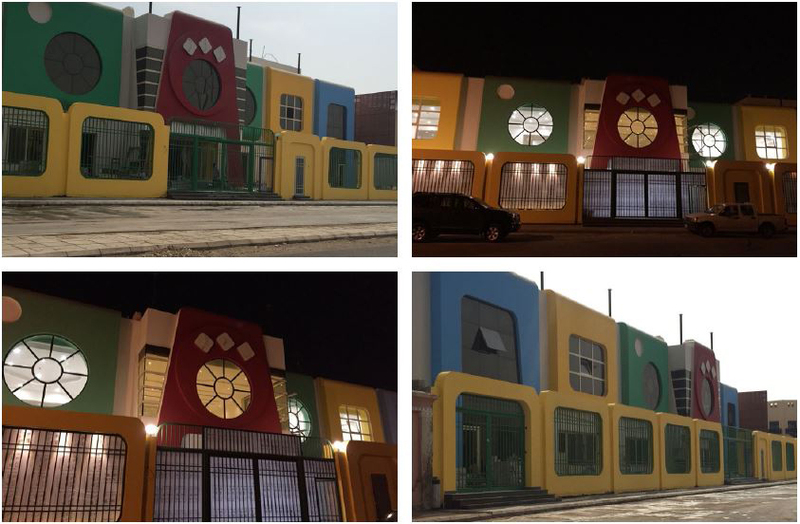 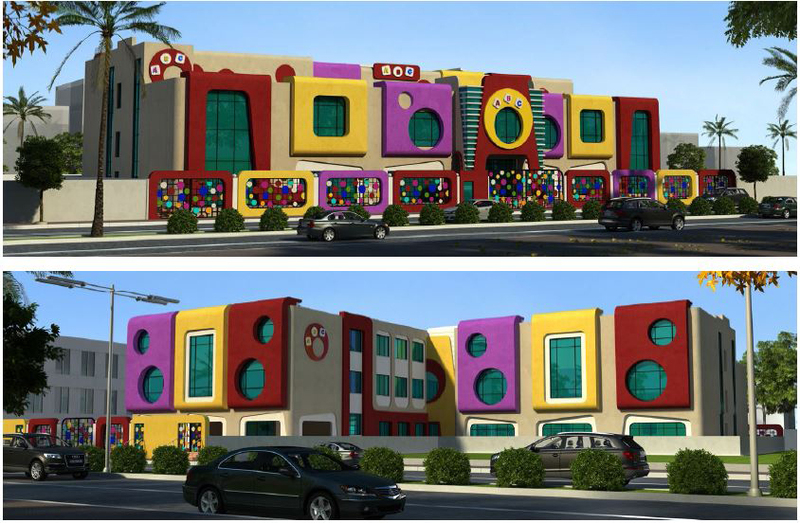 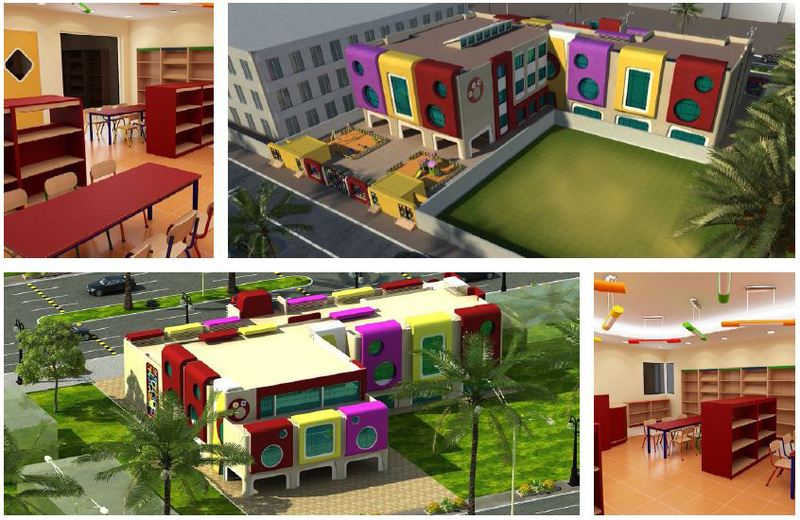 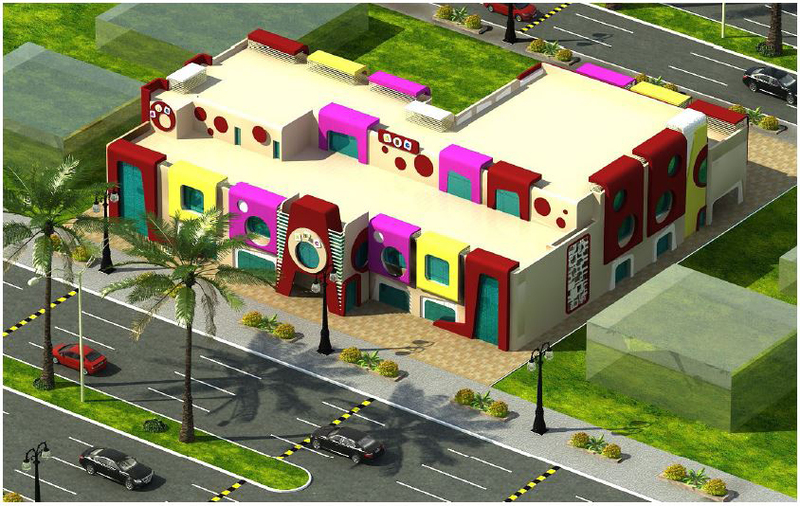 A pioneer project of its type in Jeddah city in Saudi Arabia, a modern kindergarten project for Kg and pre-school years on an area of almost 4500 sq. 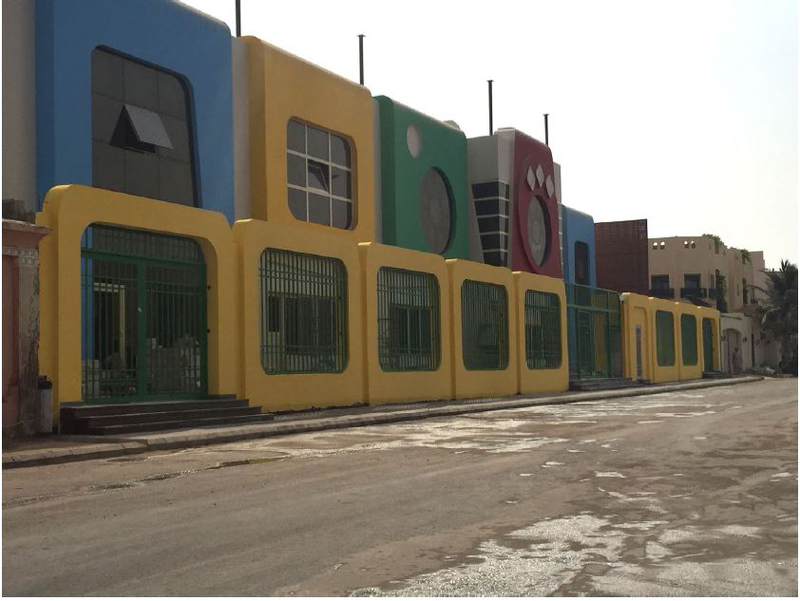 meters and with a capacity of 900 pupils. 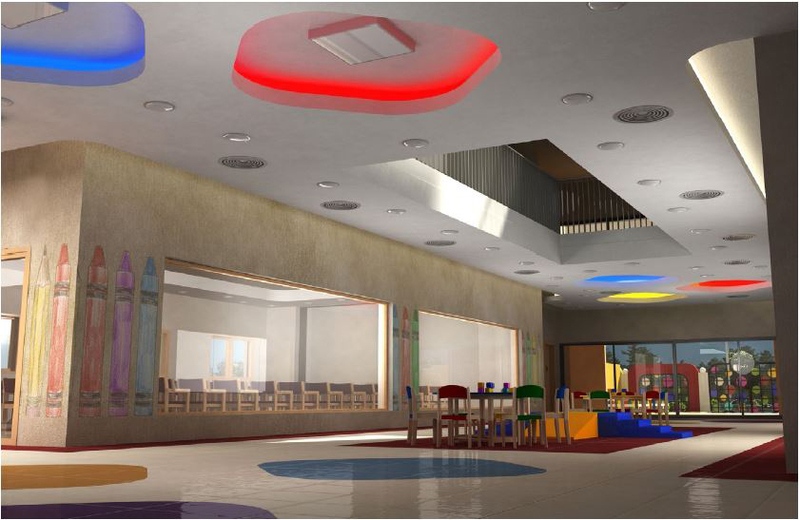 The main concept was to create a child-friendly educational environment which has been achieved by using joyful explicit colors, basic geometrical shapes and round cornered shapes that gave an impression of softness and infancy. 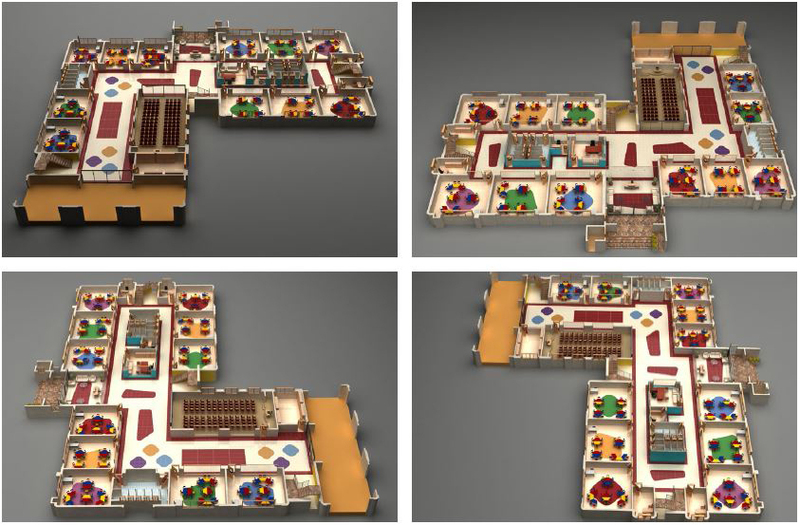 Building was designed with large wide corridors that could be used as open classrooms, extension of multi-purpose hall or for educational activities.